The response to the new responsiveness of my blog has been really positive, with some nice comments via Twitter. 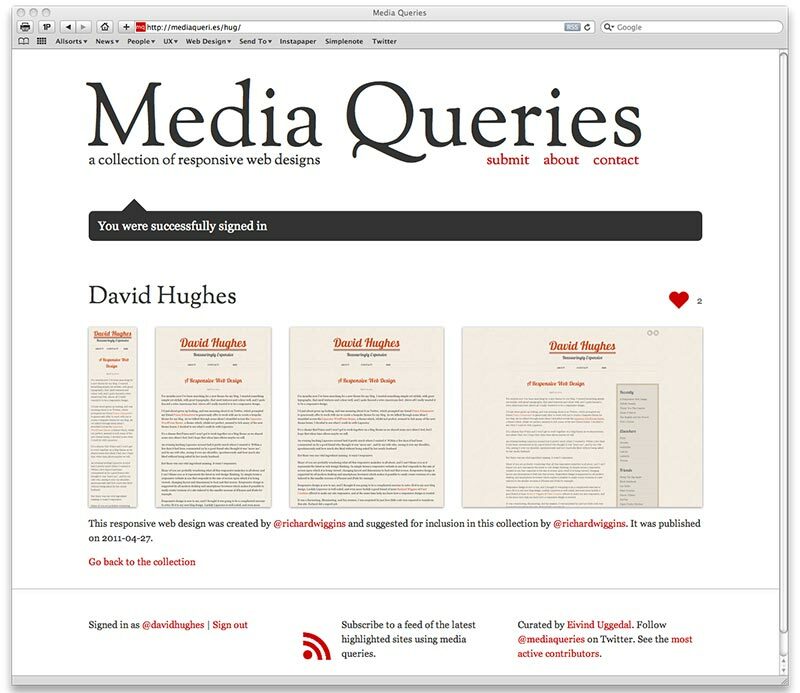 I was chuffed to bits today to see that my blog has been added to Media Queries; a site collecting the best examples of responsive design from around the web. I also received my Kindle today, and thought I’d try this site in the ‘experimental’ Kindle browser. I was surprised by how well the browser renders websites, and amazed that it could happily handle media queries reformatting my blog in portrait and landscape views. Cool. He has done a great job. It works so well on iPad and iPhone. Awesome post! Really good design!